It’s been exactly one year since my daughter received three official diagnoses of Ehlers-Danlos Syndrome Type 3, Dysautonomia (POTS), and Mastocytosis/Mast Cell Activation Disorder. When you have all three of these together, they call it “The Trifecta.” Of course, you can have each one separately without the other, but more commonly you have at least two of the three disorders. We searched and searched for three years going all the way to even Boston to see 15 specialists in hope that they would find what was going on with my daughter. Now, that it’s been a year since finally getting answers, I’ve decided to open up and share everything we’ve learned – the good and the bad. Last month (March 2018), we had the opportunity to go to an amazing conference at Children’s Hospital Colorado for families and parents of children with Ehlers-Danlos Syndrome. For a full day, we listened to some of the top specialists around the country talk about Ehlers-Danlos, POTS, and Mast Cell Disorders. While I tend to do a lot of my own research, it was incredible to learn so much more about these conditions that affect my daughter’s body in a multitude of ways. 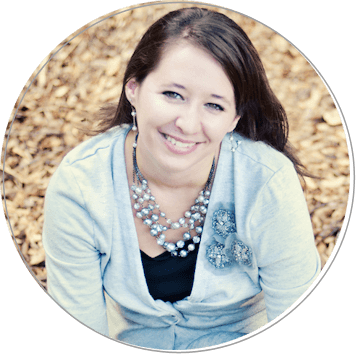 Since I have so much to share, this will be a multi-post series on Ehlers-Danlos Syndrome, followed by one on Dysautonomia and POTS, and one on Mast Cell Disorders. I hope that in sharing, other parents can learn as well as know they are not alone. 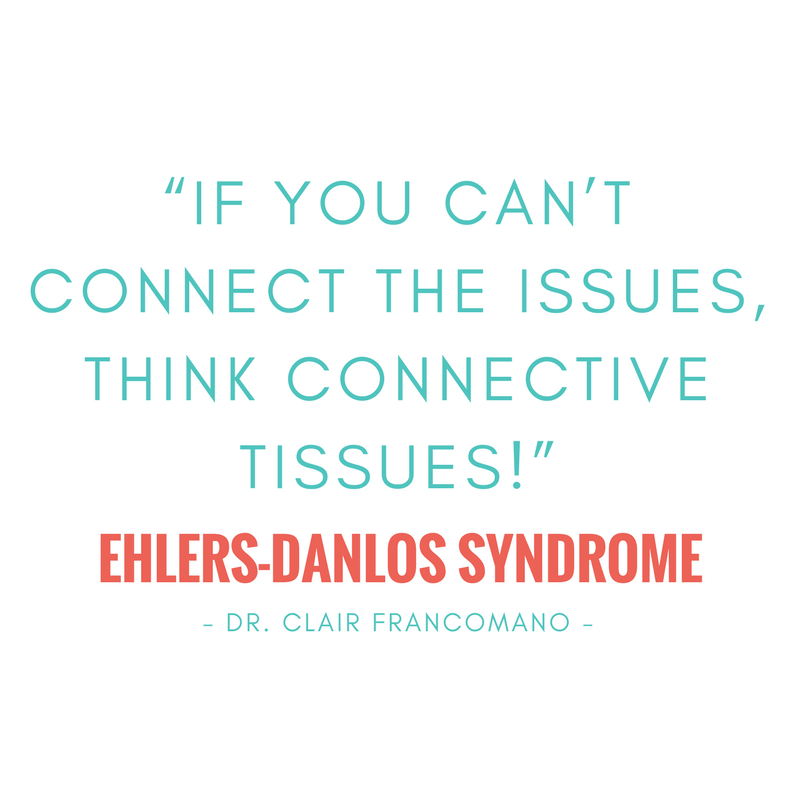 Because connective tissue is everywhere in our body, Ehlers-Danlos Syndrome affects joints, skin, blood vessels and internal organs. This is why it can be difficult to diagnose! Patients with Ehlers-Danlos will have a variety of symptoms including, but not limited to joint pain, cardiac symptoms, GI problems, dysautonomia, and autoimmune symptoms. These symptoms do start in childhood and progress through adulthood and are associated with chronic disability. The problem is, there is such a range in how EDS affects patients and so the severity of progressiveness of the disease may differ from patient to patient. After hearing that the symptoms of EDS start in childhood, it saddened me to know of many parents who cannot get a diagnosis of EDS for their child because doctors think it is “too rare” or that it’s only diagnosed in adults. Obviously, neither of these are true, which is why we as parents need to call for more training and awareness around EDS for clinicians. Parents with EDS have a 50/50 chance of passing it on to their children. Most parents in this situation never knew they had EDS or have been misdiagnosed (very commonly misdiagnosed with fibromyalgia) and many do not even have the same symptoms as their child. Because of genetics, it is very common to see multiple siblings affected in a family, however, they may have completely different symptoms from each other. EDS 3 or hEDS is the only form of #EDS where the underlying genetics or the gene is not known. EDS is considered a Monogenic Disorder which means it is involved or controlled by one single gene. BUT the DNA testing for the many forms of EDS is so complicated that it can be hard to get a diagnosis. Even worse, the most common form of EDS which is Type 3 also known as hEDS is the only form of EDS where the underlying genetics or the gene is not known. For us, this meant that even after our whole family got Whole Exome Sequencing done, the diagnosis for my daughter had to be a clinical one based on her symptoms and medical history. Because my daughter has one of the most common types of Ehlers-Danlos Syndrome, I will be focusing the majority of my posts on this type of EDS. What many do not know is that Ehlers-Danlos Syndrom (EDS) is actually very common, but poorly understood. As of 2017, EDS was classified into THIRTEEN different subgroups. The most popular is Type 3 or Hypermobility Type, also known as hEDS. The problem with getting a diagnosis with EDS Type 3 is that Hypermobility is a spectrum. It can occur independently or in the context of multiple genetic syndromes. It can also range in severity, while some patients may have no symptoms at all. #Hypermobility is a spectrum. It can occur independently or in multiple genetic syndromes. If a patient does not meet the criteria for a diagnosis of EDS Type 3, then a diagnosis of Generalized Joint Hypermobility (GJH) is made. This is basically the “catch-all” diagnosis for when a doctor is just not sure what really is going on and can make many patients extremely frustrated. It is also a general term for those who may be “double-jointed” or hypermobile, with no other symptoms. I am so grateful for the geneticist who finally saw what I saw: a child with a complex medical history that clearly meets the diagnostic criteria for EDS Type 3 even though she was young. I knew in my heart that my daughter had EDS since she was 12 months old. It just fit. However, she was not diagnosed until age three. Many doctors feel that because people are hypermobile as children, they will grow out of it as they grow older and their bodies adjust normal growth habits. This can be true, BUT in our case, my daughter was so much more hypermobile than a typical baby or child. We had to really show the doctors how her hypermobility affected her, and it wasn’t until she had more complex symptoms that they started to listen. I was at that conference too! I was amazing! Dr. Elias is my son’s doctor, she has been a true life saver for us. My son has EDS and POTS. We are not sure about Mast Cell yet but I will be looking into that also. I’m glad you made it to that conference. Oh wow! The conference was my first time hearing of Dr. Elias. We see Dr. Santucci at the Special Care Clinic who is also amazing! I can empathize with your chase of a dx as my hEDS child was also not dx til three plus years . However in my case, I had nothing specific to chase after, she was just a very high needs and sick child. Although we had no dx, intervention started at nine months old with intense OT and PT. Quickly we figured out she had sensory issues. When she was finally dx at three plus years of age, there were exactly ten hits online that mentioned Ehlers Danlos Syndrome. My how things have changed in 20ish years! Although I now know I have it, and have the trifecta, back then it was pointed to her father. We now believe he possibly has cEDS and my daughter and I have hEDS. I look forward to your next posts! My son (now 9) may have EDS. We are waiting for a geneticists’ appointment. He has a whole set of issues, which has not been diagnosed until now. The doctor said that I may have a very mild form of it too. I have no idea where to start reading, can you point me to some resources, please? This post will be very helpful for a mother I know who herself was diagnosed years ago but who has three sons who are being successively diagnosed. Wishing you all the best with your beloved daughter. Glad to help! I will be writing many more on this topic too!